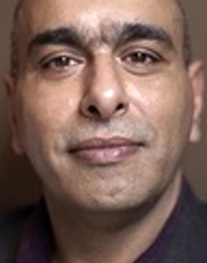 Manjit Kumar is a British science writer who wrote Quantum: Einstein, Bohr, and the Great Debate About the Nature of Reality. The Big Bang model … says nothing about what banged, why it banged or what happened before it banged. It was Max Planck who solved the blackbody problem, at a cost. The price was the quantum. Schrödinger told physicists they no longer needed to ‘suppress intuition and to operate only with abstract concepts such as transition probabilities, energy levels, and the like. It was hardly surprising that they greeted wave mechanics with enthusiasm and quickly rushed to embrace it.